Circular outline. 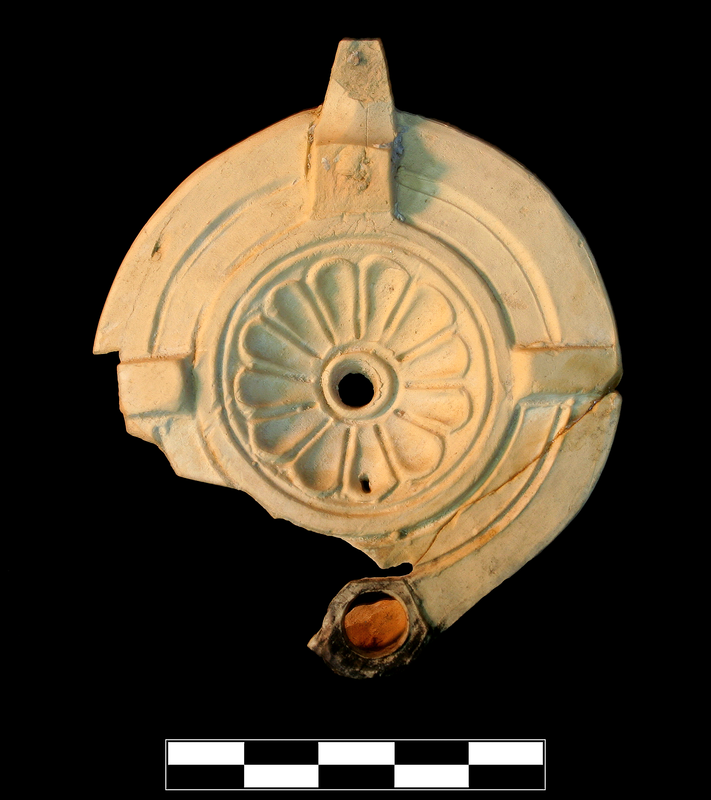 Circular discus has central filling hole with raised rim, relief of rosette with 12 concave petals, raised rim, and small slit forming airhole in front. Shoulder has channel demarcated by grooves and panels passing over. 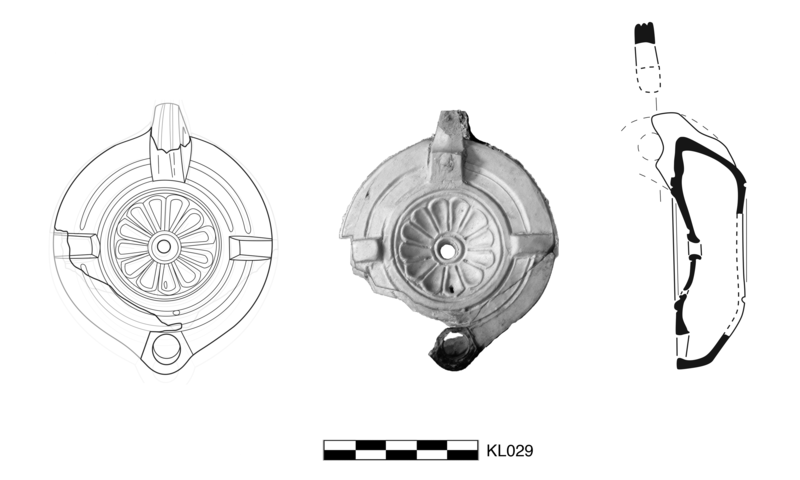 Small, flat, kite-shaped nozzle; traces of burning. Narrow, vertical, pierced handle extends to just above base, where there is a small incised “x”. Circular, flat, plain base has single circular groove; no trace of signature survives. 10YR 7/4, very pale brown. 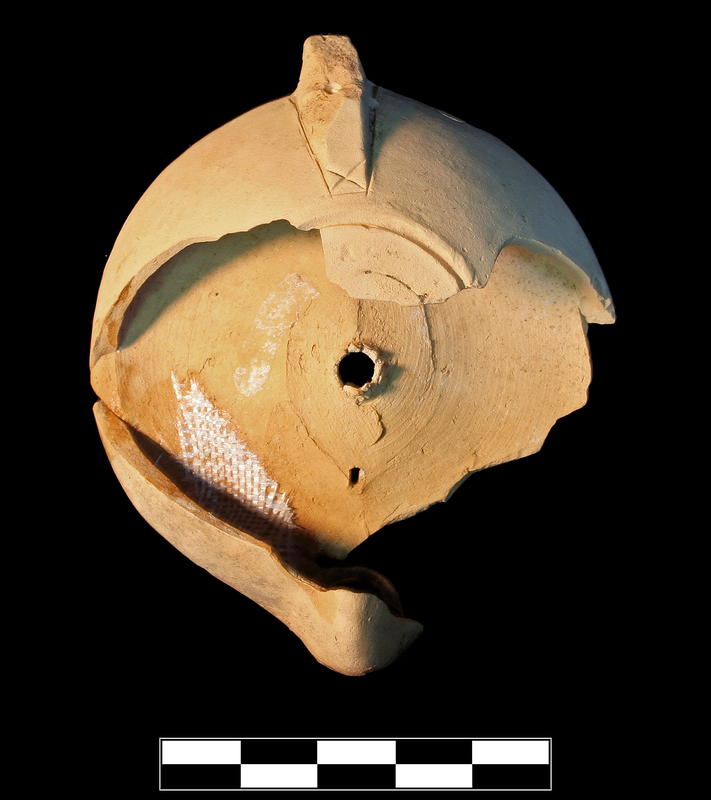 Early/Middle Roman Corinthian pale lamp fabric: very fine, somewhat hard. Two joining sherds preserve most of top of lamp and less than one quarter of back wall and base. Well preserved surface but heavy, dense encrustation around nozzle and upper handle.